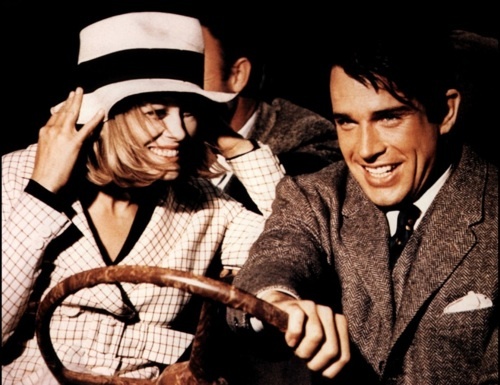 Turner Classic Movies released its "Fifteen Favorite Fashion Trendsetting Classic Films" list. These movies are all older than 25 years, but is there anything you think they missed? "When Clark Gable removed his shirt to reveal a bare chest, men stopped buying undershirts." "As ticket sales soared, so did sales of triple strand pearl necklaces, sleeveless dresses and oversized sunglasses." "Designer Ruth Morley was not sold on the idea [of Diane Keaton wearing menswear]... and tried to nix it. When Keaton showed up for shooting it was director Woody Allen who insisted, "She's a genius. Let's just leave her alone; let her wear what she wants." Don't tell Tavi, but they totally forgot Harold and Maude! I'm embarrassed to admit that I've only seen two of these movies. Um, I'll let you guess which two. I now realize that I'll have to update my Netflix queue accordingly. My favorite fashion movies don't count as "classics", yet, but when they get to be 25 years old, I hope Dirty Dancing, Desperately Seeking Susan, and Clueless find spots on the list. What are some of your favorite fashion movies?